Welcome to this cryptocurrency episode of DataDash. In this episode Nicholas Merten will be discussing the crypto markets in a technical manner. He discusses that the momentum to the downside has been killed off and the markets are moving sideways. You will also hear about ICE's Bakkt Bitcoin Futures. Bitcoin - Holding 6000 continuously and no matter how you draw your descending triangles the price is ticking to the upside. This is to not say that it will not dip below there is still a chance of a 5k Bitcoin. Volume is however low and a serious move is expected to happen soon. A smart move here is to have a stop sell at 6000 and to let it run to the upside for a risk to reward move (just opinion not financial advice). Ethereum - Testing the lows with a triple bottom. The moving intra-day average of Ethereum is to small to make moves in right now. 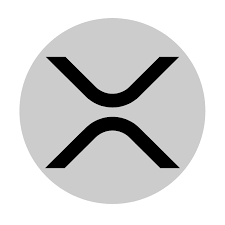 XRP - Not enough momentum with XRP right now. This is not to say there is not any adoption of XRP, but the momentum has stopped and there is 1/20th of the volume that was occurring back in Sept. Hopefully what we are seeing is a replay of the pre bull run in late 2017. Check out the video above to learn more about the current movements in the cryptocurrency markets. In addition to the above cryptocurrencies you will hear about EOS, Nano, and Verge. ICE's Bakkt Bitcoin settled futures contracts. This is expected to occur in December which is very exciting news for the crypto space. This is something that can help fuel adoption.